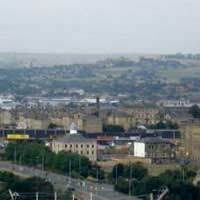 West Yorkshire is a metropolitan county with a population of approximately 2.1 million. But is it possible some of them are ghostly visitors? Yorkshire even has a paranormal research group 'Haunted Yorkshire'. They have investigated many hauntings in the area, including several in Bradford. A ghost attacked homes in the suburbs of Bradford in 1926 and left many residents terrified. It occurred over a period of several nights. The ghost frightened residents on the Brierly Housing Estate, mostly attacking lonely women. The ghost reportedly looked like a sheet with black holes where the eyes should have been. It also was said to have haunted Manchester Road. Could this have been someone playing a joke on the poor women on Bradford? Even the City Hall of Bradford is said to be haunted by a spirit called Chains Charlie. Many believe that Chains Charlie was a prisoner who was tortured in one of the cells. He was so unhappy, that even after he died, he returned as a poltergeist to haunt the very place where he was tortured. People have reported seeing a headless torso holding its head at its side. One of the housekeepers has reported a ghastly interference she had while trying to mop the floors of the City Hall. Wrose is a village in Bradford about three miles north of the centre of the city. It sits on a hilltop and overlooks the Aire and Bradford valleys. The Bolton Old Hall in Wrose was sold at an auction five years ago. The house, built in 1627, was in a state of deterioration, but Billy Reidy bought it anyhow, saying he lived within a mile of the house and had noticed it for years. Plus, he loved to fix up old homes. Although the size of Wrose has grown through the years, Bolton Old Hall is set apart. Perhaps this is the reason a ghost chooses to inhabit the house. Billy reported that the presence of Blue Mary, as she is known, has been felt not only by him, but also by other visitors to the house. While he has felt her presence, Billy does not know much about Blue Mary. Her legend seems to have started in the late 19th century. The residents of the hall blamed Blue Mary for the cows not producing as much milk. They took her presence so seriously that they hung up horseshoes and bottles of needles to calm her. It appears that even ghosts need a bit of refreshment now and then. The Hare and Hounds near Oxenhope, a village in Bradford, has had paranormal activities within it for years now. Plates falling off the wall in unison and a brass bell flying across the pub into the wall is nothing new for the Dog and Gun Pub. The landlord, Michael Roper, thinks he knows who the ghost is. A pig farmer who used to spend her time in the pub was run over by a horse and cart one night. She was brought into the pub where she later died. Some patrons have reported seeing a woman dressed in black move between the toilets in the restroom and on the stairs. The Hare and Hounds in Wibsey, a ward in Bradford Metropolitan District, has also reported strange happenings within its walls. There have been slamming doors, strange voices, and a baffling fire caused by a porcelain figure. The Firefighters that extinguished the fire could not determine how the porcelain figure caught fire. Many places around the world have reported ghosts, but it seems that Bradford may have had more than its fair share. If you live in the area or plan to visit, you may want to take one of the ghost tours offered and see if you can see a ghost yourself. Hi Wolfie – I used to live on Cross lane in the 70s and used this snicket regular. One evening, me and my cousin entered the snicket from Perseverance Lane, we was half-way through when I looked back. There was a 7/8 foot tall black shadow stood just off the path about 20 meters away. I pointed it out to my cousin and we stood there for a few seconds before running to the other end of the snicket. When we passed the gate we stopped and looked back. The shadow was now stood next to the cottage nearest the gate.We set of running again and didn’t stop until we were at the bottom of Kingswood Street. I used to go to the quarry in Wrose and the Blue Mary story is legendary. In the mid to late nineties, me and my friends used to go and mess about near Blue Marys hut. We've run from that place so many times and to this day, it still creeps me out.. Wonder how she's doing? Does anyone know if there were any accidents causing death at the quarries on Idle Moor? My daughter is terrified to sleep in my house as when she was a child sheoften saw ghosts of men in victorian work clothes walk through our garden and objects used to launch themselves at her in her bedroom. I witnessed the objects but have never seen the people. I worked at the city variety in 1966. I was assistant stage manager.to cut a long story short I was doing a tour of the theatre after lowering the lights for the cleaners and as i approachedthe boxes i was pushed hard in to the box. I also had a similarexperience at the Queens hotel Leeds in the basement . The Blue Mary story is one I remember from been a kid growing up near Wrose in the late 1980's and 90's. We used to go to Wrose Quarry at the end of Wood Lane and near Clara Road to mess about, and we used to dare each other to go as close as we could brave to Blue Mary's Hut, which had horse shoes next to it, and weird bottles or jars. The one of us would shout. 'Argghhhh.Blue Mary', and we would all run away like scared mice. This one time, I got really close, and I remember seeing the outline of something bluey grey, in the window of the hut which was (or still is) to the right of the main house. There is a field which leads the quarry cliff edge and the 'Blue Lagoon'.we used to cross the field and get up to the house, I think we would throw stones at the glass jars which were on the window sill, but never managing to hit anything. I think in about 1990 or 1991 I saw the figure of Blue Mary standing very still at the window, staring out at us as we approached. We went the quarry after that up until the Autumn of 1992, but it wasn't until I was in my mid twenties that I returned near to Blue Mary's hut while taking pictures of the quarry views.It would be interesting to read other peoples recollections. Is there any evidence of the ghostly goings on to support these stories? if so is there a website to which I can view these? I am into the paranormal and find it amazing at what the "spirits" can actually perform.